Cloud Computing and Vendor Lock-in can be a pathetic experience while changing from one service provider to another. Here is what to look before and after. Previously we described the Lock in Effect in Todays Technology and Gadgets. A Cloud Computing service provider is certainly not inclined to provide a simple process of sending customers to its competitors. But what customers often do not realize is, there are many companies who creates a platform with the intent to block its own customers. For this reason, during the transition process, it can become difficult to shift. It is not that all Cloud Computing providers has Vendor Lock-in, this is why this article on Cloud Computing and Vendor Lock-in is published. If all the companies were bad, we would say – do not use Cloud Computing platform. 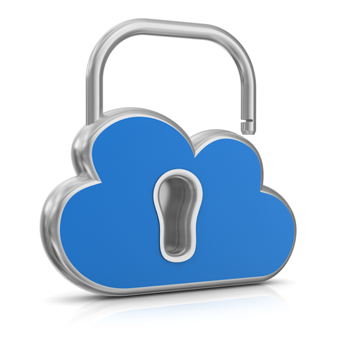 An important argument is the ownership of data sent to the Cloud Computing service provider. Unless you have agreed by contract that the possession of the data is specifically yours, the answer to who owns the data may be less clear than you can think. A good cloud service service provider recognizes that your data is explicitly requested by the client, but not all do so. It is therefore a good practice to check the ownership of data in the contract. Assuming that you have the ownership of the data, the question now is how and in what format your cloud computing service provider will back you these data. One of the problems that can occur is that the data will be returned in a format that is not easy to use. Perform mock testing to verify that the provider can actually meet your requirements. In the case of IaaS (Infrastructure-as-a-Service), when the data in question includes virtual images, make sure that you have the ability to access at the administrative level – underlying OS applications. It is not always trivial to gain the access, even when we have physical access. This point is actually not absolute, itself needs a big article to explain. In short, it depends on the brand. You may need additional information in addition for your services to continue uninterrupted. Depending on the type of cloud computing service you need, it will also change the risk of vendor lock-in. Obviously it also depends on the quality of the supplier, but it is certainly less risky to use a service like IaaS , than PaaS or SaaS, in both of which the risk of vendor lock-in is significantly higher. In an IaaS service we have greater flexibility and control of resources, while PaaS services are likely to enclose your applications within their platform. If you already got in to trouble, you will understand why we shout – Cloud Computing Security Means Opting For Open Source. Other points are written about Cloud Computing, Open Source and Developers before. Many cloud PaaS providers as well as private organizations configure their cloud based services on Amazon Web Services. Despite the statistical fact that this service leader has its undeniable has the biggest market share; it is fact that it is not a Open Source Cloud. So the dependent PaaS like Heroku will also be affected in any difficult situation. This Article Has Been Shared 4513 Times! Cite this article as: Abhishek Ghosh, "Cloud Computing and Vendor Lock-in : Points to Check," in The Customize Windows, December 5, 2012, April 19, 2019, https://thecustomizewindows.com/2012/12/cloud-computing-and-vendor-lock-in-points-to-check/.